As we developed the IDA oncology range over the past year, we realised that it would be useful to create an Oncology FAQ document. 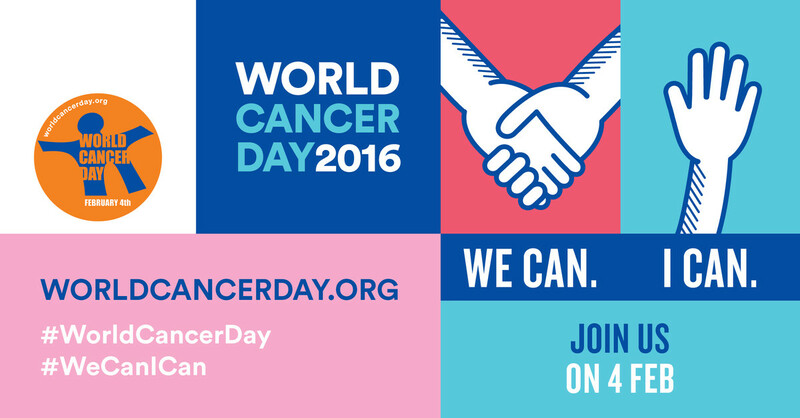 This World Cancer Day, we share this with you, to answer the most important questions. Have you got a question that isn't listed here? Make sure to let us know! What is IDA Foundation’s approach in the fight against cancer? IDA’s mission is to improve access to good-quality medicines and medical supplies in low- and medium developed countries. A few years ago, we realized that access to oncology medicines is lacking and looking at the growing burden in developing countries, we felt action was needed. Our aim is to make a basic oncology range available to our customers and to build stock in our Amsterdam warehouses in order to also accommodate the smaller requests (and hence pool procurement). We offer both generic products as well as products manufactured by originator pharmaceutical companies, however with a focus on generic sources. Today, we have a list of 22 products approved, mostly from generic sources and often with a source from an originator pharmaceutical company as alternative. Why do we focus on generic oncology medicines? Cancer treatment and palliative care remain still too expensive or not accessible for many patients in low- and middle-income countries. WHO’s target is to establish 80% availability of NCD medicines by 2025. While branded manufacturers are offering programmes to increase access to essential oncology products, we believe that by offering a basic range of quality assured generic cancer medicines, we can play an important role in improving access to cancer care. How can you guarantee the quality of these generic medicines? Quality Assurance and Control is always key at IDA Foundation. We have a stringent quality assurance and control process and this is applied to all products (and services) we offer. In the case of our oncology range we started the QA process by looking into a number of Indian (and Chinese) suppliers. We audited the sites to see whether they were WHO-GMP compliant. After making some corrective actions, the manufacturing sites could be qualified. At the same time, we started the dossier assessment for the oncology products of interest. In this quality assessment we focus on correct sources of API material including qualification, specifications of API and final products and stability data. In December 2014, IDA’s QA team paid a technical visit to the site to verify data submitted to us and discuss technical issues on the dossier and proposed specifications. Final approval of the product dossiers took place during 2015. IDA developed proper multilingual product leaflets and labels for the product, established product and packaging specifications, as well as method of analysis and protocols of analysis. As a next step, we had WHO approved contract laboratories perform method verification to be able to confirm the quality of the products independently. Once the first batches were procured, batch analysis was done to confirm the quality of the product. We are confident about the quality of the oncology products we supply and per our QA policy, we continuously monitor the quality of all products. Moreover, since NCDs are not part of WHOs PQ programme, our Quality assurance model will be important in making sure that patients only get quality assured products. How about medicines for palliative care? We feel that palliative care is an indispensable part of oncology treatment. Therefore, we have addressed access to palliative care too and are making a basic range of relevant products available. Moreover, IDA is experienced in importing this specific range of products in countries worldwide, following the very specific guidelines that often exist for products like morphine for example. What if I only require small amounts of cancer medicines? IDA keeps the most requested medicines in stock in our own warehouses in the Netherlands. This means that our customers can avoid high minimum order quantities. We felt and still feel that IDA’s added value can be found in pooling demand and delivering from stock, now that programmes are still relatively small and global funding for cancer is very low compared to the burden. We believe this approach works. In the past, HIV/Aids and TB treatments were unavailable to many. In those cases, IDA Foundation and its partners were able to offer quality generic alternatives, thereby making affordable treatment available to many more patients. By pooling procurement, customers needing small amounts of medicines were able to buy from us, thereby avoiding the high minimum order quantities that manufacturers required. As an example, IDA has been the global procurement agent for Multi Drug Resistant Tuberculosis (MDR-TB) medicines for almost 15 years. We hope to apply the same approach to oncology treatment and by doing so bring cancer treatment within reach for more patients in low- and middle income countries. What oncology developments can we expect from IDA in the future? We’d like to note that our oncology project is still a work in progress. Based on our customers’ feedback we are adding new products to our range. Any feedback you might have on products that you require are very welcome. I’d like to know more about IDA Foundation's quality process! If you have any more questions about the quality process, read about our quality assurance or contact Marieke Korsten for more information about our oncology range.